Westwood Cross shopping centre has announced its ‘most deserving family’ winner following hundreds of nominations. 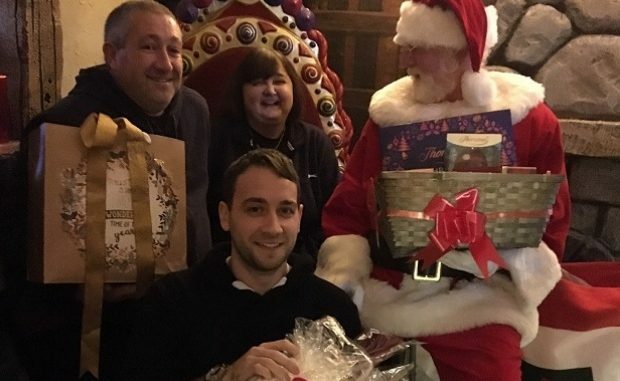 The Connell family from Margate, received a hamper of Christmas goodies, including a £500 Westwood Cross Shopping Centre gift card and treats from Primark, Costa, Thornton’s, Boots, M&S and Debenhams, after being nominated by mum and wife Jacey. Jacey was diagnosed with terminal cancer this year but selflessly nominated her family to make Christmas a little easier for them. Jacey and her children, Daniel, 27 and Lauren, 18 and their dad, Darren, plan to make the most of this Christmas together. Alongside studying for her A Levels, Lauren is also carer to her dad, who has disabilities. When surprised with the gift this week, Jacey said: “I am over the moon to win this fantastic prize from Westwood Cross. I nominated my family as they have been so supportive throughout my cancer diagnosis and I wanted to be able to give them a Christmas they would remember.